[Ramadan Series] 5 Productive Tips for Amazing Mums this Ramadan! The beautiful month of Ramadan has steadily come in and many mothers out there (including myself) are finding ways to ensure we get the best of ourselves for this spiritual month. It can often be a real balancing act managing family, work, and other commitments before and during Ramadan. However if we organise ourselves efficiently we can aim to ensure that we complete our tasks successfully in Ramadan so that we are left with more time to really embrace its benefits. Ramadan is a time for being with family, focusing on prayer, and fulfilling our obligations, such as giving zakat, amongst many other fruitful actions. For many mothers, Ramadan also consists of preparing suhoor and iftar, managing the kids and other household chores, in addition to being the best they can be during this special month. Implementing effective time management strategies in every aspect of our lives can really help to keep organised and leave more time during the day to focus on our main priority: Allah . Being a mother of two toddlers and one on the way, I know that life can leave us stretched in all directions, and it can often be a juggling act to manage our time effectively. I find it beneficial to do productive things prior to Ramadan to ensure that we obtain and maintain the correct balance. Preparing suhoor and iftar may not be a struggle if you organise yourself efficiently. It may be helpful to make a plan of what you are going to cook for the day to ensure that not all your time is spent on the cooking and there is ample time for other important duties such as nafl (voluntary, extra) prayers, Quran recitation, dhikr, and attending taraweeh (night) prayers. Try to calculate your Zakat al Fitr before Eid so you’re not left to do it in a rush and make arrangements of when and where you will pay it, and have it ready. This will save you worrying about it at the last minute. Getting the family involved in Ramadan activities is an excellent way to ensure you have some extra help at hand and increase the family bond. Going together to taraweeh prayers, attending the mosque events, preparing meals, and reading Islamic literature can all increase your good deeds. 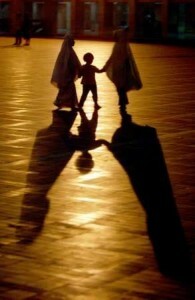 It is also important to remember Ramadan is a time for you to focus on yourself, and even mothers need some alone time. This is where asking extended family or older siblings to mind younger siblings can help you get the utmost from the day. Although mothers by nature put their children and family before themselves, it is important to schedule some ‘me time’ where possible. This is where your support network comes in but also identifying a specific time when you can be away from the demands of the home can help you strengthen spiritually. This could be at night before you sleep, or in the morning before everyone is awake. Either way it is important to ensure you don’t ‘burn out’ and ask your husband/family for support – they can also be informed about this time that you need with your Lord and will respect that if you tell them. ”Indeed, We sent the Qur’an down during the Night of Decree. And what can make you know what is the Night of Decree? The Night of Decree is better than a thousand months. The angels and the spirit descend therein by permission of their Lord for every matter. Peace it is until the emergence of dawn” [97:1-5]. Ramadan should not be a time where mothers feel over-burdened and stressed out with workloads, I hope the above simple tips will help you use your time productively to make the most of this special month without having to worry about juggling the demands of family life; after all, your good deeds are to earn only the best home in the Hereafter.